It looks like Dubai Parks and Resorts are finally turning around. 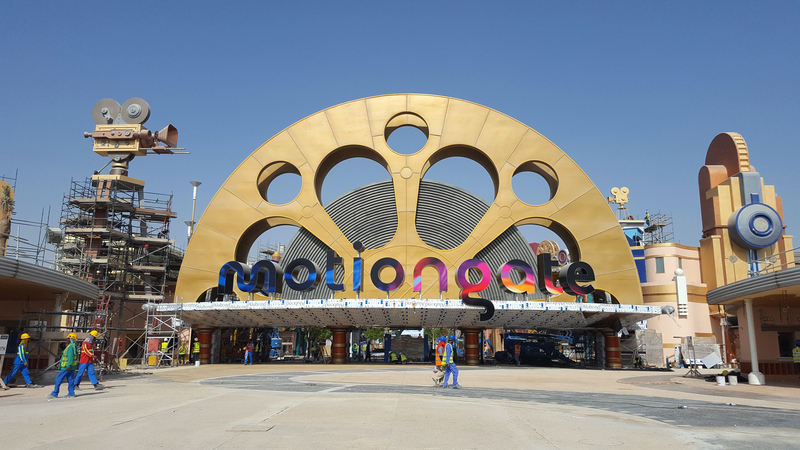 DBX, the company who owns motiongate Dubai, Legoland Dubai and is reporting staggering growth numbers for the first half of 2018. If these numbers continue, it could put Dubai on the map as a major theme park contender. According to the report in Gulf News, Dubai Parks and Resorts (otherwise known as DBX) received 1.4 million visitors in the first half of 2018. This is a 46% increase during the same period of 2017. April was the peak month thanks to many school holidays in the region. To put this into actual visitation numbers, DBX received 612,000 visits compared to 414,000 in the previous year in the same early time period. “We are pleased to announce continued year-on-year growth in our visitor and hotel occupancy numbers. The first half of 2018 has delivered over 46 percent growth compared to the same period last year and our results demonstrate Dubai Parks and Resorts is on a clear growth trajectory. We remain confident in our growth potential as we progress through our first full year of operations,” according to Mohammad Al Mulla, chief executive and managing director of DXB Entertainments. Will this be the turn around moment for Dubai Parks and Resorts? Time will tell. Currently, it sounds like most of the visitation is coming from within the region and the parks need more international tourism to stay afloat. Either way, the opening of Warner Brothers World down the road in Abu Dhabi will be very telling of how the region can handle multiple theme parks. Stay tuned! This entry was posted in Theme Parks 101 and tagged DBX, Dubai Parks and Resorts, motiongate dubai, Warner Brothers Abu Dhabi. Bookmark the permalink. Trackbacks are closed, but you can post a comment.